If you're looking for a property for sale in Tucson, you've come to the right place. 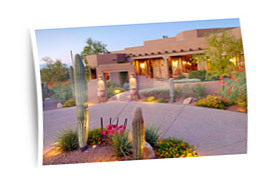 MyOwnArizona specializes in homes, townhomes, condos, and land for sale in Tucson. Today's Real Estate Market is very competitive and requires online Real Estate experts that know how to get information to you through the most efficient and practical avenues. We provide you with Tucson Home Buyer tools and resources that enable you to locate, evaluate, and secure homes for sale in Tucson. Just remember: Browsing the listings for months is one way search out the deals, but weighing the investment potential of each property can be difficult, and many homes for sale are never listed publicly. Please sign up for either out "New Property Alert!" or "V.I.P. 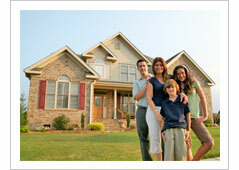 Buyers Program" so that you are kept in touch with every possibility to find the perfect fit for you. 1. Get access to all the listings. 2. Know all the facts on properties you're interested in. 3. Negotiate with the help of a real estate professional. 4. Finance your home faster. New homes for sale hit the market daily. As your representative, we'll be in regular contact with sellers and other real estate agents to ensure you see all the newest listings right away, whether or not they're made public. Often, our clients can put in offers with little or no competition and walk away with an impressive deal. Sign up for our "New Tucson Property Alert!" to receive listings the moment they are available.